I have been reading Kimberly Strassel’s articles and columns for YEARS and am SO excited to have her on the show! For nearly 40 years, Washington and much of the American public have held up disclosure and campaign finance laws as ideals, and the path to cleaner and freer elections. This book will show, through first-hand accounts, how both have been hijacked by the Left as weapons against free speech and free association, becoming the most powerful tools of those intent on silencing their political opposition. 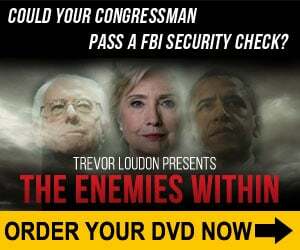 THE INTIMIDATION GAME provides a chilling expose of political scare tactics and overreach. You KNOW this will be an engaging and brilliant discussion. Also, of course, tomorrow’s show will also feature our regular fortnightly “Ask the Counselor” with Dan Chambers. There were a couple of MASSIVE Supreme Court decisions released today and Dan will help us understand EXACTLY what happened. Be the first to comment on "Friday’s HausGuest – Kimberley Strassel of The Wall Street Journal"